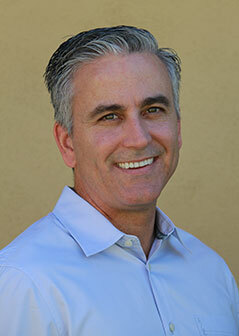 Dr. Peter Vogel is an experienced, gentle dentist. He provides patient-focused, conservative treatment that improves each patient’s life. In focusing on a patient’s unique clinical and personal needs, Dr. Vogel develops treatment plans that work for the person. He offers the most up-to-date care options and delivers treatment in a warm, supportive, and friendly atmosphere. Whether he’s alleviating dental pain, improving function, or making a smile even more beautiful, Dr. Vogel is improving his patient’s quality of life. He appreciates each person’s smiles and words of thanks at the end of a visit. 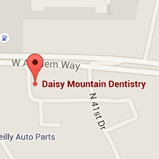 Dr. Vogel has been happily practicing dentistry for almost 20 years. It’s obvious he loves his profession: he whistles while he works! Each year Dr. Vogel completes many hours of continuing dental education. He has studied with Arrowhead International and a local dental implant study club. Dr. Vogel also attends conferences, seminars, and lectures; he studies research findings, as well. By constantly learning about changes in diagnostics, technology, materials, and treatments, Dr. Vogel ensures his patients receive the leading-edge care they deserve. Dr. Vogel and his wife were married in 1997. He has four children and is glad to be raising them in Arizona, his home state. When he’s not working, Dr. Vogel enjoys time spent with his family, especially going boating and on camping expeditions. He is actively involved with his three sons’ Boy Scout adventures and his daughter’s acting studies.